Here's a product that I've wanted to try for a long long time. The Ginvera Marvel Gel has been a cult skin treatment throughout Asia for the past two decades. More recently it has become very popular in the UK as well. 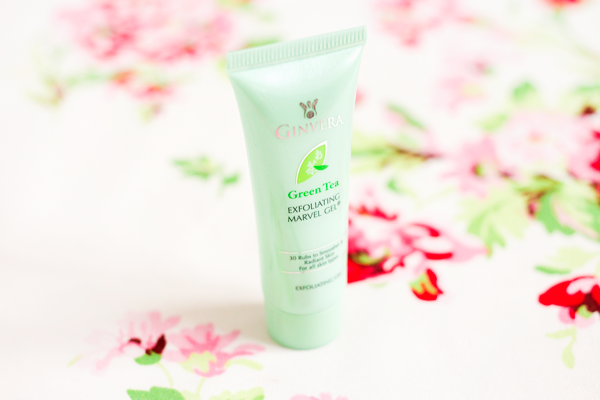 To say that this light green gel is different to your average exfoliator would be quite the understatement. It doesn't contain any abrasive grains or beads so this gentle product is suitable for those with even the most sensitive skin. The ingredient list is impressive with a whole host of natural goodness for your skin including green tea, ginseng, soybean extract, aloe vera & royal jelly. The gel works by targeting the upper layer of skin. It dissolves and removes dead skin cells, revealing brighter & smoother skin underneath. It deeply cleanses your pores & is especially effective on blackheads. To apply it you simply dot the gel around your face & rub it in for about a minute. It has a light green tea scent which is very pleasant. The gel feels cool & fresh on the skin and doesn't sting. As you rub, the product starts to ball up. 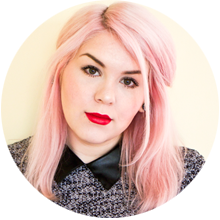 The bits left on your face are actually your dead skin cells trapped within the gel. Apologies for the super gross close up pic but I think it's interesting to see the product in action. It kinda reminds me of those peel off gel face masks but this is way more effective. I always notice the greatest amount of those flakey bits around my T-Zone which is where I'm prone to getting blemishes. I tried rubbing it on my hand & I couldn't get it to ball up in the same way so I think it really does work to unclog your pores. Then you just wash it all off with your normal cleanser & carry on with the rest of your skincare routine. Even though I've become accustomed to using acid exfoliants this stuff still has an effect on my skin. 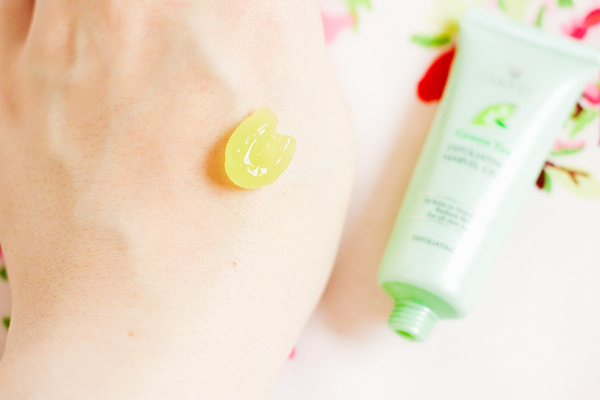 It makes everything feel really smooth & my pores look more refined. It really is a lovely exfoliator that isn't harsh or drying on the skin at all. Skin whitening products are very popular in Asia. As well as treating blemishes this stuff claims to lighten freckles & reduce scarring. From the above picture you can probably tell that I'm pretty darn freckly but unfortunately I haven't noticed much difference to them. If anything they look worse because they always come out during the Summer. The gel does help to brighten the overall appearance of my skin though & the tone looks more even. I'm not sure that I would replace my current exfoliators with this product as I am rather fond of my acids & the intense deep clean they provide for my skin. I would say that this gel would be absolutely perfect for anyone with skin that is too sensitive or dry for either physical or chemical exfoliants. If you're reluctant to use acids in the Summer due to increased sun sensitivity then this would be a great alternative at this time of year. The gel formula is so gentle on the skin but it really does a number on your pores. 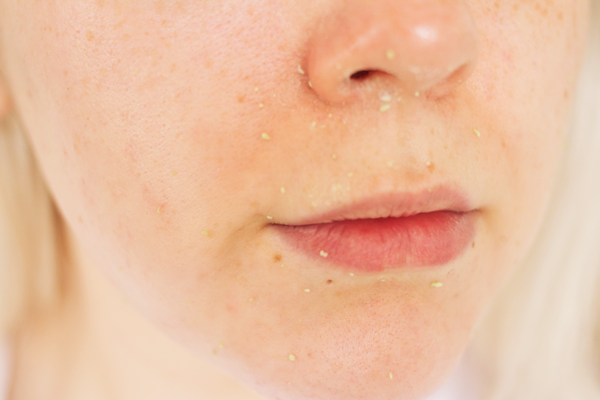 The Ginvera Marvel Gel is a truly unique product and I'd highly recommend giving it a go if you're prone to blackheads.